It’s heating up in Australia so my soup season is coming to an end but this is so delicious, I may keep it as a year-round favourite. It’s super easy and it contains many pantry staples so no special shopping is required. I’ve adapted this recipe from the original that was published in The Australian Women’s Weekly 21-day diet planner. 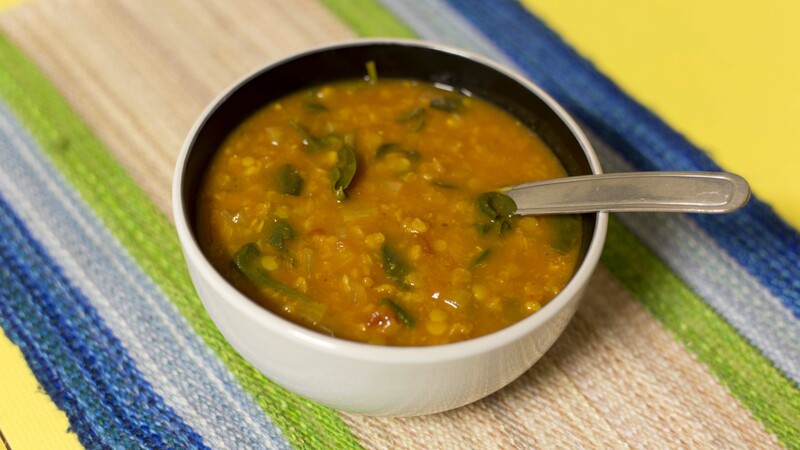 They call it spiced red lentil soup. I’ve never had their version but my version is simply delicious. Enjoy! Saute onions and chilli over medium heat until soft (in a little oil of your choice if preferred). Add curry paste and ground coriander (if using). Stir for 1 minute, until fragrant. Add stock, water, undrained tomatoes and washed lentils. Bring to boil. Reduce heat and simmer for 20-25 minutes. Stir in spinach. Season with salt and pepper. Top with fresh coriander. Serve hot. This soup makes great leftovers so keep for tomorrow’s lunch too! Stay tuned for my next post about my favourite new health foods! Being healthy has never been so delicious!! Categories: Food, Health | Tags: dairy free, easy meal, gluten free, lentils, red lentil soup, Spicy Lentil Soup, vegetarian | Permalink.